Welcome to Innovative Medical Associates. Our office is systematized so the work is done in the same professional manner. You will have a pleasant experience through services delivered with compassion. 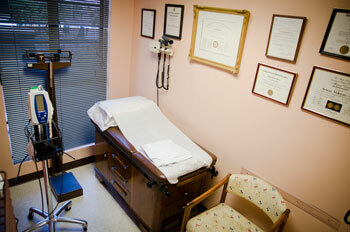 As a patient, you will be seen on time—every time—as promised by qualified staff. We will offer yearly physical examinations which includes complete history and physical exams, blood tests, ECGs, stress tests and ultrasounds, echo cardiograms, carotid duplexs, aortic aneurysm detections, bone density tests—all non-invasive, for early detection of illnesses. In addition, we offer house calls and home services including home phlebotomy, Alzheimer, Dementia, and fall evaluation for the following areas: Brentwood, Bel Air, Westwood, West Los Angeles, and Santa Monica. Appointments: Our office is open from 8:30 am to 5:30 pm Monday through Friday. Please call during these hours for appointments. If an emergency should arise outside of regular hours, you will be connected to our answering service who will notify Dr. Hekmati or the doctor on-call. If you are unable to keep your appointment, please notify us at least 24 hours before the appointment. Prescription Refills: Please call your pharmacist and have him fax your prescriptions to our office at 310-275-8727 during office hour to insure prompt service. Please anticipate your needs prior to holidays, evenings, or weekends by having your pharmacist contact our office. Prescriptions may not be refilled, however, if a patient has failed to keep the follow-up visit. This policy is enforced for the protection of the patient.